If you have Internet Explorer 11, you can fix the issue of the video not displaying by taking the following steps. Click on the gear in the top right corner to open the options menu. 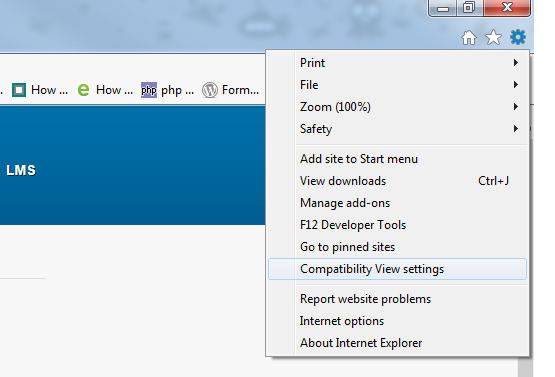 In the Compatibility View Settings box, make sure grda.com is not in the “websites you’ve added to Compatibility View” box. 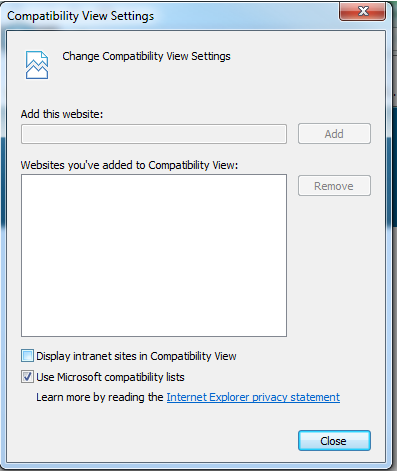 Make sure the “Display intranet sites in Compatibility View” box is unchecked.